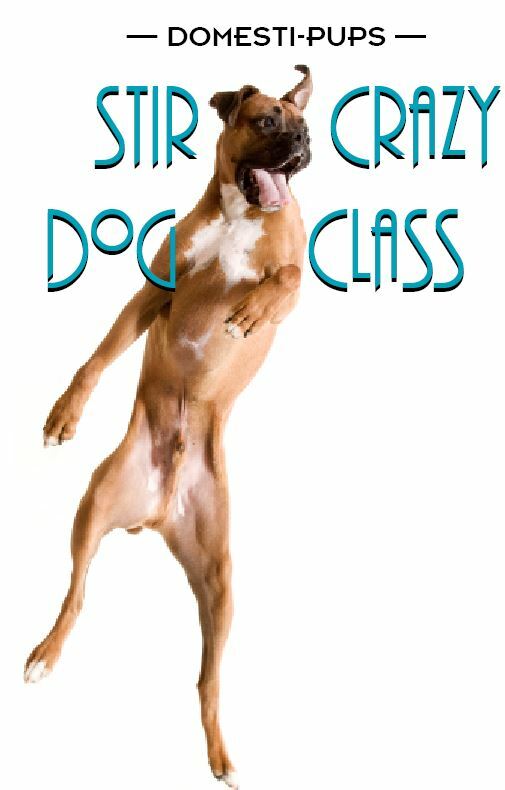 THIS CLASS HAS BEEN CANCELLED AND WILL BE RESCHEDULED IN THE FALL OF 2015.
you'll want to attend our six-week Stir Crazy Dog Class. Your dog will learn directional cues, move away from you confidently, and discover how to use his/her nose to push a ball and other objects . These games are designed to build confidence in your dog. Once your dog has mastered these skills in small indoor spaces, they can be combined to create a challenging game that can be taken to larger spaces in better weather.